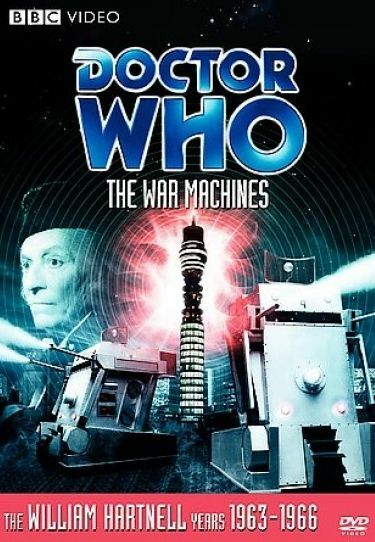 On a visit to Earth, the Doctor discovers a super-computer who is creating War Machines intent on taking over the world. I love this episode. I love it and wish we had more like it. At least more like it during Stephen’s run. The story is great. The character interactions are wonderful and the writing/direction is tight and beautiful. Love it. Love it. Love it. Love it! This episode highlights the problems I have had with the Stephen era. I didn’t like the character and, honestly, I thought he was too negative for the series. Yes, he had some bright spots here and there but I never connected with him. With the new companions, Polly and Ben, I fell in love instantly. There was great chemistry with these two new characters and they worked well with the Doctor and Dodo. This new pair reminded me of a younger Ian and Barbara, which is what this series needed. Again, I felt that Stephen was far too serious and Dodo was never given the chance to be as light-hearted as she was in this episode. Even when the Doctor was interacting with Polly and Ben for the first time, it just felt right. I couldn’t help but have my heart swell with giddiness with the chemistry. When the story moves to the party scenes, with Polly and Dodo mingling and meeting Ben, it’s a great representation of that time: carefree with the world of possibilities at their feet. It’s easy to get caught up in the drama of other worlds and the seriousness of important subjects. As I mentioned in The Gunfighters, there needed to be a balance, more light-hearted with the serious drama. This was the first episode in a long time that it felt that this balance had been achieved. This felt like a much-needed reboot and we’re all better off because for it. The villain of the story, a super-computer, was brilliant. The War Machine devices were similar version of the Daleks, which was distracting. We’re never given an explanation of the alienness of the WOTAN computer. Was this secretly a Dalek invasion? Even with the distraction of the Dalek-like War Machine, I can see this type of story being played out in Modern Who. Speaking of Modern Who, the military presence in the third installment reminded me of UNIT. I know that the official version of UNIT wouldn’t happen until the Second Doctor’s run, specifically the episode The Invasion, but I can’t help but wonder if this is a precursor to UNIT. I’ll say more once I get to The Invasion, but this might be where the foundation for UNIT was created. An alien threat in which regular weapons are ineffective? A mysterious man who knows how to defeat the alien threat? Let’s set-up a taskforce to fight the baddies! The Doctor is called Doctor Who a few times throughout the second installment. It’s a little strange but luckily it doesn’t last beyond this small scene. Dodo’s departure was crap. The character deserved better than a footnote. The actress, Jackie Lane, had her contract end during the production and it was not renewed. It feels weak, though I don’t believe that Dodo was never given a real opportunity to shine. Quite a pity since she had such potential at the beginning of her run, even more so at the beginning of this episode. Overall, despite some bumps and bruises, The War Machines is a solid affair and worth the effort. This marked the last appearance of Dodo and the first appearances of Ben and Polly. According to the episode’s Wiki page, this marks the last appearance of the St. John Ambulance emblem on the TARDIS. It will be not be seen again until the Eleventh Doctor’s run.